For KOMO journalists frustrated with the direction of their corporate ownership, there’s no easy escape route: Most are under contracts and are barred from jumping ship to a competing TV outlet. Amid a national outcry over Sinclair Broadcasting and its mandate to insert conservative talking points on local TV news, several journalists at KOMO News — Sinclair’s Seattle-area station — describe a newsroom in turmoil. Some staffers have reached a breaking point and have discussed protesting their corporate bosses, or plan to leave as soon as they can. Sinclair, the nation’s biggest owner of local TV news stations, has for several years required KOMO and many of its stations across the country to air “must-run” news stories and commentaries produced by Sinclair that tilt heavily to the right on the political spectrum. But it recently required its local anchors in Seattle and elsewhere to deliver on air a Sinclair-provided script bashing “fake news” and accusing journalists of pushing their political agenda without checking their facts. To many, it looked like talking points from the Trump administration had been directly broadcast into living rooms across the country, filtered through their trusted local anchors. Several KOMO employees said anchors at the station had met to discuss a protest when word came down last month about the “fake news” script Sinclair mandated they read. But those talks fizzled, and every anchor at the station eventually recorded versions of the segment, like at most other Sinclair stations across the country. Any concerned journalists there face a quandary: Quit now — which could result in huge financial penalties for breaking their contracts — or make plans to move on as soon as their deals end. Tensions escalated at a newsroom-wide meeting Monday afternoon, when staffers pushed back against the corporate edicts. But they were reminded that those who disagreed with the station’s direction could quit, according to employees who attended. In the past, station officials had buried the Sinclair-produced “must-run” segments — which have featured former Trump advisers and other conservatives — in the wee hours, when viewership is lowest. Even then, viewers noticed. But now that Sinclair has at times mandated segments run during the 6 o’clock news, and required local anchors to read provided scripts instead of simply airing corporate-produced segments, the mood in the newsroom has worsened, said KOMO employees who agreed to speak on the condition of anonymity out of fear of losing their jobs. Five current and recently departed journalists at the station, and about a half-dozen journalists at other Sinclair stations around the country, were interviewed for this story. Small batches of protests have continued. Some KOMO directors have aired the “must-runs” between commercial breaks, in hopes that viewers would pick up on the fact that it wasn’t part of the regular newscast. Others have posted, on their social media pages, links to stories criticizing Sinclair. Other journalists there, who said viewers on social media have called them propaganda tools in recent days, have already decided they will leave as soon as their contract is up. “I don’t want to be a part of that company any more,” said a KOMO journalist who has already decided to depart after a contract expires later this year. Virtually all of the reporters and anchors at the station are under multiyear deals and would be severely penalized if they walked away now. One staffer at another Sinclair station said some anchors even have a contract provision requiring them to pay back the station for marketing costs, like billboards featuring their face, if they quit early. “For most people, compliance is the only option,” said a Sinclair journalist. He described an anchor at an out-of-state station who was in tears over getting the assignment to read the “fake news” script. Many of the KOMO journalists have non-compete clauses that prevent them from working for a non-Sinclair media station for a certain period after leaving. And Sinclair is often where the jobs are: On journalismjobs.com, the main job board for the industry, 64 percent of the 1,300 open jobs listed as of Monday were for Sinclair. A journalist who interviewed for a digital job at KOMO several months ago said the company seemed “very desperate” to hire: He recalled being offered a $80,000 salary and stipend for a director job even though the applicant had no experience managing people and was currently making $38,000. “The interview was bull****, to be frank. They didn’t care at all about the scope of my experience,” said the person, who declined to be identified because his current employer didn’t know he was interviewing for another job. KOMO journalists say it is rare for Sinclair to give them story assignments. But they occasionally happen. Two KOMO journalists recalled a Seattle Times editorial that railed against the Sinclair purchase of KOMO in 2013. Sinclair then immediately told KOMO to run a “smear” piece on the Times, the KOMO staffers said. (The story as envisioned never ran; staffers say they refused to do it, but KOMO did run a piece on the decline of newspapers around that time). Another former KOMO staffer recalled submitting a story about a Seattle City Council vote over a non-essential project requiring taxpayer funds. They interviewed several people during “man on the street” reporting and found no one was against the funds being used. But the KOMO director in charge said Sinclair had encouraged reporters to find opposition when covering those types of stories, to pump up the idea of taxpayer waste. But several KOMO staffers insisted that their day-to-day reporting — the vast majority of what viewers see on their newscasts — has not been affected by Sinclair, and they have been able to operate in a silo separate from the “must-run” segments produced by corporate. “It is ironic that we would be attacked for messages promoting our journalistic initiative for fair and objective reporting, and for specifically asking the public to hold our newsrooms accountable,” Livingston said. Adding to the uncertainty for KOMO journalists is that the station is awaiting the arrival of its new editorial leader. Bill Dallman, formerly vice president of news at KCBS/KCAL in Los Angeles, will take over this month as the station’s news director, replacing Pat Costello, who recently retired. Sinclair, based in Maryland, already owns stations that reach 40 percent of U.S. households across 193 stations. It is awaiting approval from the Federal Communications Commission to purchase Tribune Media, which would expand its reach further. 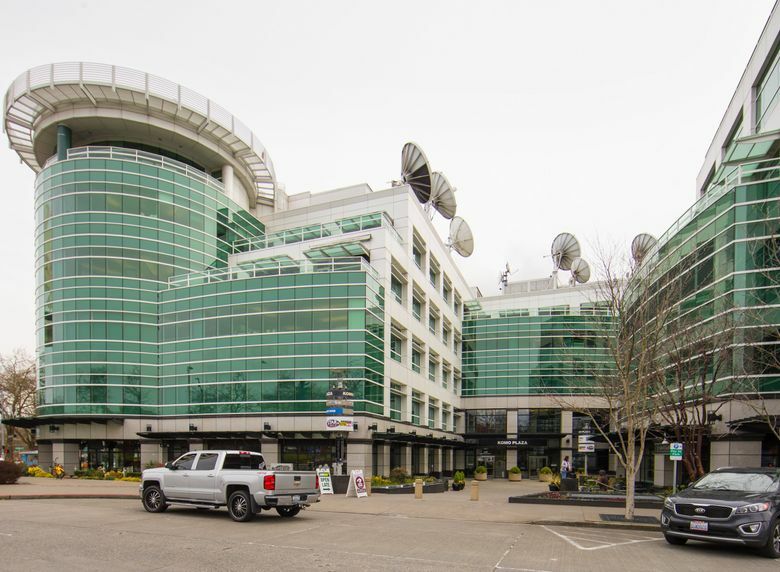 In Seattle, Tribune owns the Fox affiliate Q13 (KCPQ), and there were initial fears at Q13 that they, too, would be under the Sinclair umbrella and be forced to run the same segments as KOMO. But in February, Sinclair disclosed that it would sell Q13 and a few stations in other cities if the proposed Tribune deal goes through. Fox Television was reportedly interested in acquiring Q13. Sinclair has owned KOMO since purchasing Seattle-based Fisher Communications and its 20 U.S. TV stations for $373 million in 2013. Not all Sinclair stations tolerated the “fake news” script: Fox 47 in Madison, Wisconsin said it didn’t air the segment. “Rather, we stayed true to our commitment to provide our Madison area viewers local news, weather and sports of interest to them,” the station tweeted. As the Sinclair controversy hit the national news over the last several days, there was no shortage of people commenting on social media that they would boycott KOMO and other Sinclair stations. But it was too soon to know how KOMO ratings could be impacted. KOMO has traditionally been near the top of the viewership charts for local TV news, competing against KING, KIRO and Q13. (Nielsen declined to release specific ratings data). KOMO journalists fear the worst may be yet to come.